Based in Wahiawa, Hawaiʻi, Lisa is the principal owner of Utopia Photography and co-founder of ProjectFocus Hawai’i, Inc. She remains a steadfast devotee of film photography and is committed to the craft of custom printing all of her clients’ work. When Hawai’iʻs limited black and white printing lab industry collapsed because of the digital market, Lisa saw the need to retain the fine art approach to photography; she purchased equipment from flailing labs and built her own. Lisaʻs photographic style, the integrity of her work in all stages of production, along with her gracious demeanor, have captured the respect – and hearts – of clients residing not only in Hawaii but also on the mainland and in Asia as well. Lisa holds a degree in art (photography) and education and currently teaches fourth grade at Island Pacific Academy. She also taught in the public school system for over ten years with five years devoted to a middle-school arts program. Lisa also served as a member of Punahouʻs “Entrepreneurs- in- Residence” program, is a community volunteer, and is the proud mother of three. 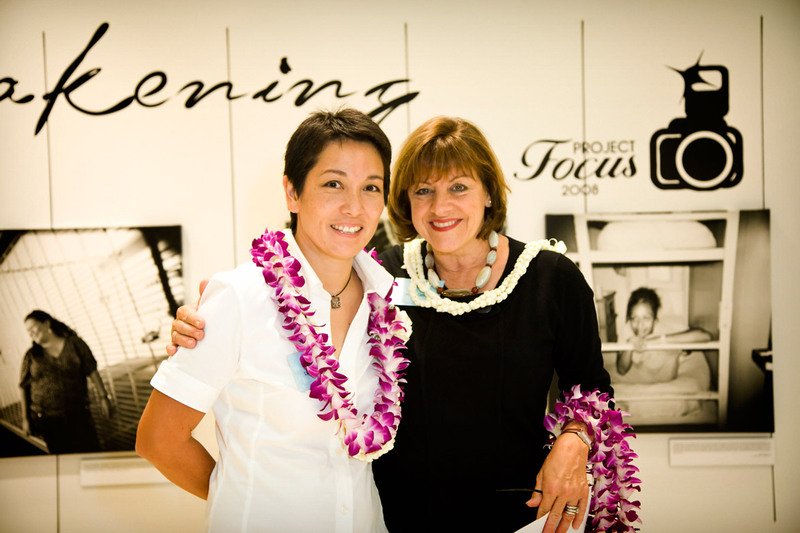 Based in Honolulu, Hawaiʻi, Laurie is the owner of Baby Face Productions and co-founder of ProjectFocus Hawai’i. Laurieʻs love of children, including those with special needs, led her to what she calls “passionate photography” – capturing the fine line between the real moments in life and the soulful and natural beauty in each subject. As a fine-art black and white film photographer, Laurie carved a niche in the local and international marketplace by specializing in black and white hand-colored photography of children. Laurie is a trustee at Holy Nativity School and served as a member of Punahou School’s “Entrepreneurs- in- Residence” program, a trustee at La Pietra ~ Hawaiʻi School for Girls and a commissioner for the City and County of Honoluluʻs Commission on Culture and the Arts.